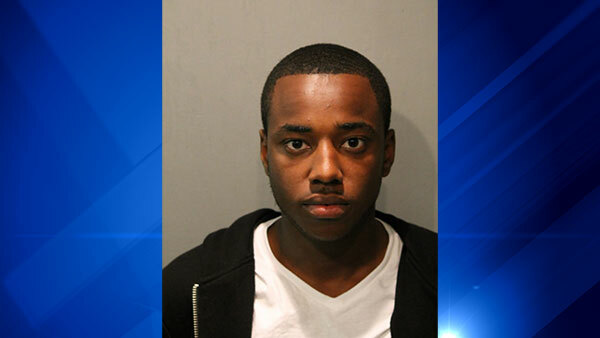 CHICAGO (WLS) -- Semaj Waters, 18, of Chicago has been charged with attempted armed robbery, mob action and felony murder in the death of Pamela Johnson, according to the Cook County State's Attorney's office. Johnson and her long-term boyfriend were both struck by a car after running onto Lake Shore Drive in an attempt to flee a group who attempted to rob the couple early Sunday morning. Chicago police released surveillance photos earlier this week, showing suspected members of the group. At least five teens seen in the photos released by police were questioned for several hours Wednesday by detectives. Community activist Andrew Holmes said their parents had brought them into police. Johnson's boyfriend was injured and hospitalized. Her son and other family members say they just want justice. A vigil was held for Johnson Thursday night. Waters is expected to appear in court Saturday. Friday night, Jay Payne, a spokesperson for the Waters family released a statement that read "Chicagoans should find it interesting that Cook County State's Attorney Anita Alvarez can hastily approve Felony Murder charges within hours of seeing a photo of individuals in public setting and the statement from a drunken boyfriend of the deceased who couldn't have possibly pointed out Mr. Waters in a line up without suggestive help. But would not file charges to a white police officer seen clearly on video pumping 16 bullets in a black defensely boy in over a year. ... This is a sad event but the young woman may have run into traffic for other reasons not explored by police."